Shungite therapy is an alternative treatment method that is recognized by the official evidence-based medicine. The healing power of this Karelian mineral was discovered several centuries ago. And it's not accidentally that shungite is known as the "mineral of health". But it's only nowadays that shungite products became so popular due to the adequate scientific analysis and research. 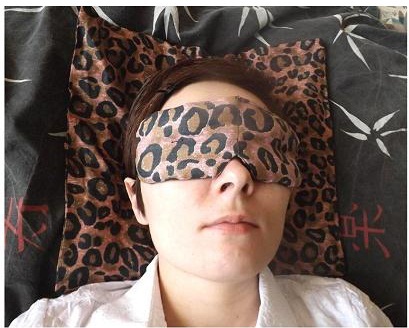 The shungite eye pad was developed specially for people suffering the eye strain. The color of the product may differ from that shown on the photo.